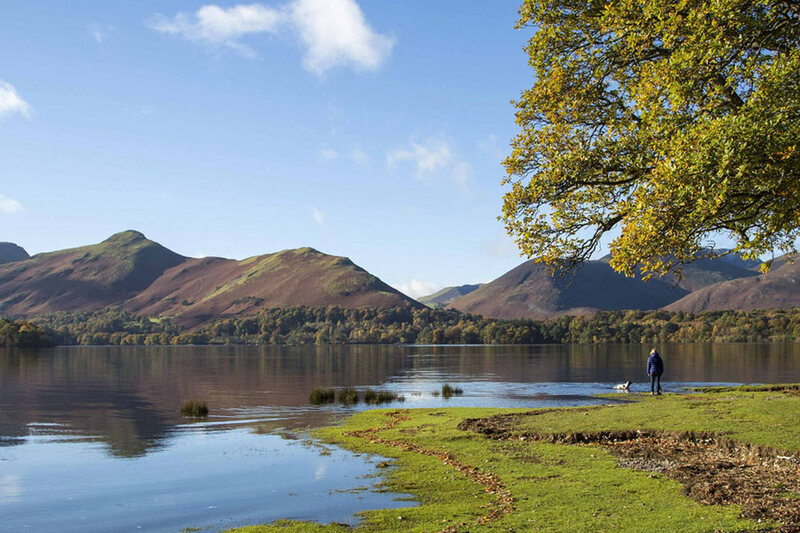 Lake District Hotels Ltd. respects your privacy and is committed to protecting the personal information that you share with us while browsing this website and during the booking process or purchasing a gift voucher. This includes all websites which belong to Lake District Hotels Ltd. Please read on to find out about the guidelines that we follow to ensure that the information you choose to share with us is private and safeguarded. The term "Personal Information" refers to any information that can be used to identify you as an individual. It can include, among other things, your name, address and email address. Lake District Hotels Ltd. collects personal information for a hotel reservation, event or dining booking. We also collect data to improve the website experience our guests have and to improve and promote the service we offer. This is done by getting a better understanding of the types of people who visit the website in the first place. This information may be collected through use of an online survey (which would require your authentication), signing up to promotional emails, or cookies used to browse our website. Any personal information provided to Lake District Hotels Ltd. by its guests or other users is regarded as confidential. 1. Each hotel goes to great measures to ensure that all Personal Information is kept in a secure location, be it a database or filing cabinet. Furthermore, we take steps to ensure that only designated individuals have access to this information. 2. In order to serve you better we also store certain guest information in our Guest Reservation System, a secure customer database stored on a dedicated server. The stored information includes all the information required for making a reservation. We may also store certain information regarding your service preferences. When you make a reservation in the future, this information is used for that purpose only. 3. Lake District Hotels Ltd. maintains a secure database of email addresses from people who have requested to receive promotional emails from the group. This database is solely used by Lake District Hotels Ltd. and under no circumstances would the data be given to any third parties. You can update your email marketing preferences and unsubscribe from Lake District Hotels Ltd. marketing emails clicking the 'update your preferences' link which can be found at the bottom of each email. If you wish to revise or be removed from our reservations database and marketing communications completely please call us on 017687 87010 and speak to a member of our team. Your Personal Information will be stored for the period of time required by law in the jurisdiction of any hotel holding the information. It may be stored indefinitely by Lake District Hotels Ltd. as long as there is a business purpose for doing and you have allowed us to do so. Who else can see your personal data? You can browse Lake District Hotels Ltd.’s websites without giving us any information about yourself. This means that, unless you voluntarily and knowingly provide us with personal data, we will not know your name, your e-mail address, or any other information identifiable to you. Some cookies will be stored during your visit but this does not contain any of the above data. Computers, which browse the Internet, are given an IP Address that identifies them throughout their browsing session. When you browse our website, our servers log an entry for each page you visit with your IP Address. We use IP Addresses to gather anonymous information about which pages of our site are most popular, most frequently visited, etc. However, we do not use IP Addresses to attempt to gather any personal information about our visitors. We like to encourage our visitors to share interesting information from our website with their friends through social media by clicking on ‘share’ buttons. Scripts have been provided by social networks for Lake District Hotels Ltd. to connect this information to your personal social network profile. Lake District Hotels Ltd. cannot obtain any personal information from your social network however in some instances the social networking sites will record your activity. This is out of the control of Lake District Hotels Ltd. and you should check the policies belonging to those social networks to find out what information they are collection and sharing. How will I know if there are any changes to this policy? Calculated in accordance with The Equality Act 2010 (Gender Pay Gap Information) Regulations 2017. View our report. Lake District Hotels Ltd. is a UK business which operates only within the UK and must comply with UK laws. Lake District Hotels Ltd. therefore must comply to The European Privacy Directive (2002). This is primarily concerned with the protection of privacy in electronic communications, for both individuals and organisations – even when the information being collected is not personally identifiable. It covers all electronic communication, which includes the internet.